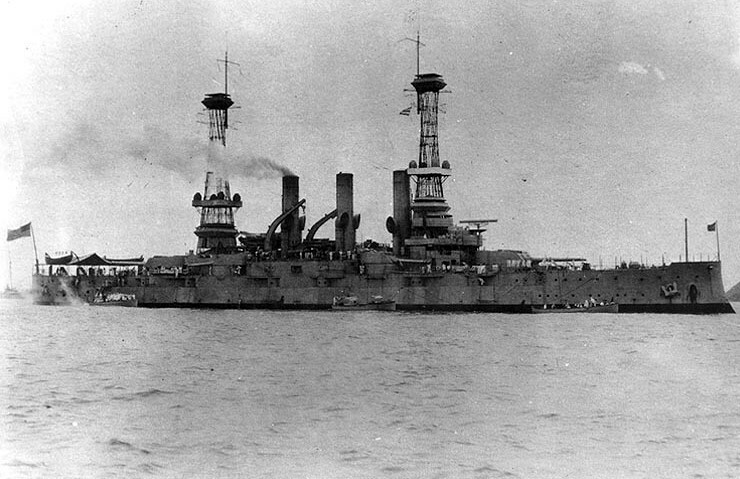 USS Vermont seen around 1918. 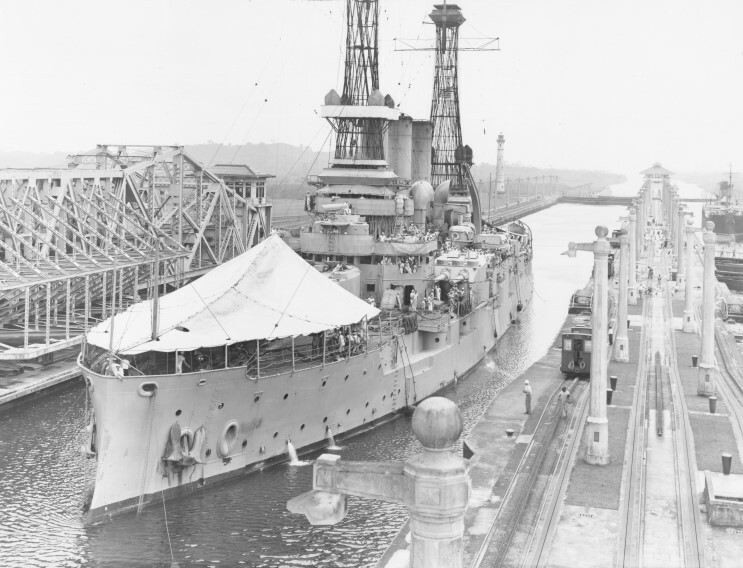 July 25, 1919: USS Vermont seen southbound in the Panama Canal. 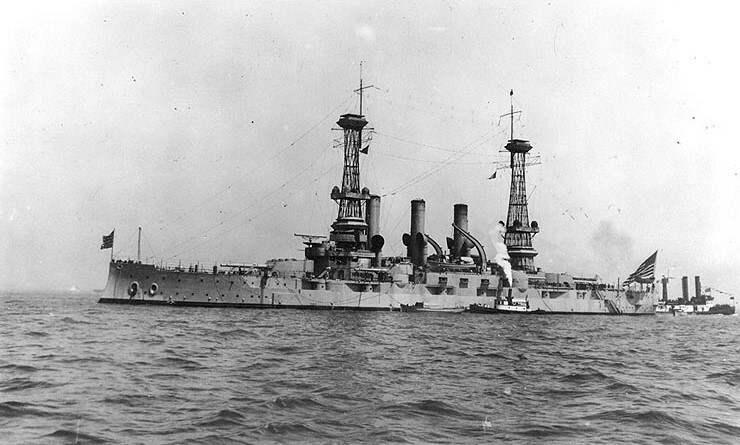 USS Vermont seen around 1919. Model of USS Vermont in the configuration used when she sailed with the Great White Fleet 1907-1909. This model is on display at the Australian National Maritime Museum in Sydney, Australia. View of the port side of the model.